The Music Together curriculum includes a mix of original songs and traditional tunes from the folk, jazz, and world music traditions in a variety of tonalities and meters. 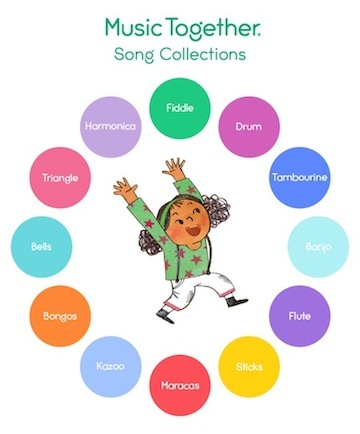 Music Together's song collections have outstanding arrangements that are fun, sophisticated, and loved by children and grownups alike. By presenting a range of musical styles from lyrical to blues, from folk to boogie, Music Together provides children with a rich music experience that stimulates and supports their growing music skills and understanding. They are non-sequential, so families may join at any semester and attend class for three full years before cycling back to re-experience the collections from their growing children's ever-changing perspectives. Because music learning is cumulative, with children reaping developmental benefits that build over time, we encourage participation for as many years as possible from infancy through kindergarten. The music is pitched in just the right range for children's voices and includes songs, rhythmic rhymes, tonal and rhythm patterns, and instrumental play-alongs. All of the songs are suitable for mixed-age groups, perfect for childcare centers or families with children of different ages. Each semester, families receive one CD, a digital download code and an illustrated songbook. Families also have access to the Family Music Zone at the Music Together website, where there is a wealth of resources, activities, and information to help you make the most of your experience with us. In addition, families new to the program receive a parent guide booklet, Music and Your Child. The first edition of our new family songbook series is here! 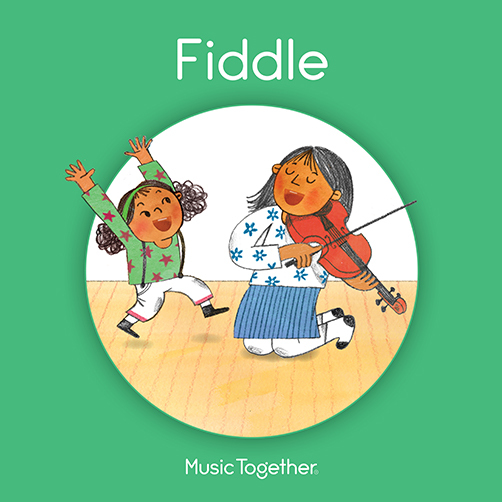 Each song in the Fiddle collection is brought to life through colorful and engaging illustrations by award-winning artist Jaime Kim. The new book will inspire your family to play with music all week long. You'll find it helpful to learn the lyrics, as a jumping-off point for creative storytelling, and to learn more about the songs you're singing in class. Your child may enjoy snuggling with you and singing through the whole book at once—or opening to a page to tell you what song they want to sing!